I upgraded to the 8.1.0 beta with October 5th security update. Since upgrading I notice my vpn stopped working. However, a friend of mine says his is still working. 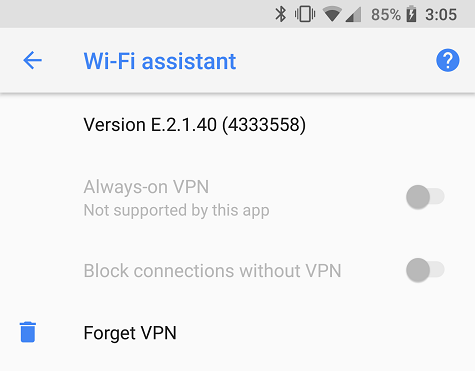 So my question is how do I upgrade the google wi-fi assistant or enable it for oreo-8.1. How to get list of every file in every drive in Android device?